WANT TO BE A DERBY GIRL IN 2019? 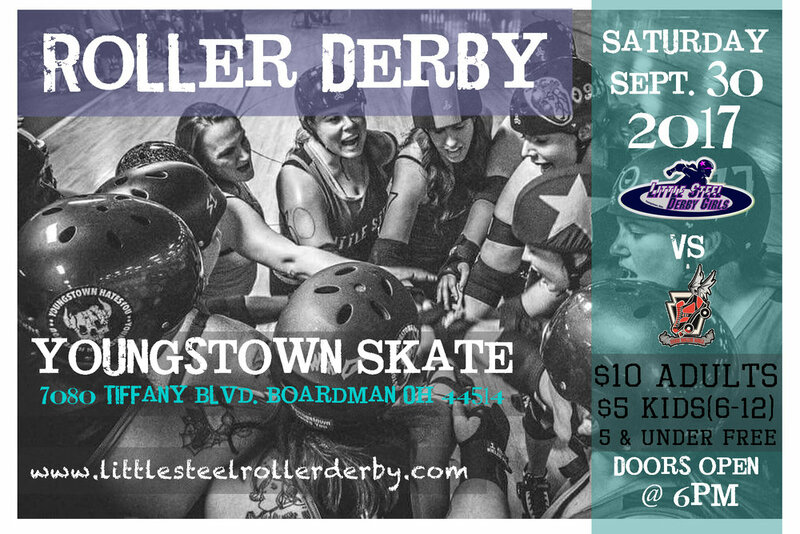 Join us Saturday September 30 for a Double Header ROLLER DERBY! You can find a handful of us volunteering at the Kul Open Annual Golf Outing July 9th at 8am. This is an awesome event benefiting cancer research. July 9th & 10th check out the festival of the arts at YSU from 11am to 1pm. What a great free event! We will be supporting the community and the artsy things! Monday July 4th at 10:30 am check us out in the Struther's parade located on 5th street!